John and Andy spent the day visiting three Boy Scout troops. They began the day with Troop 6. Things didn’t go quite as expected. 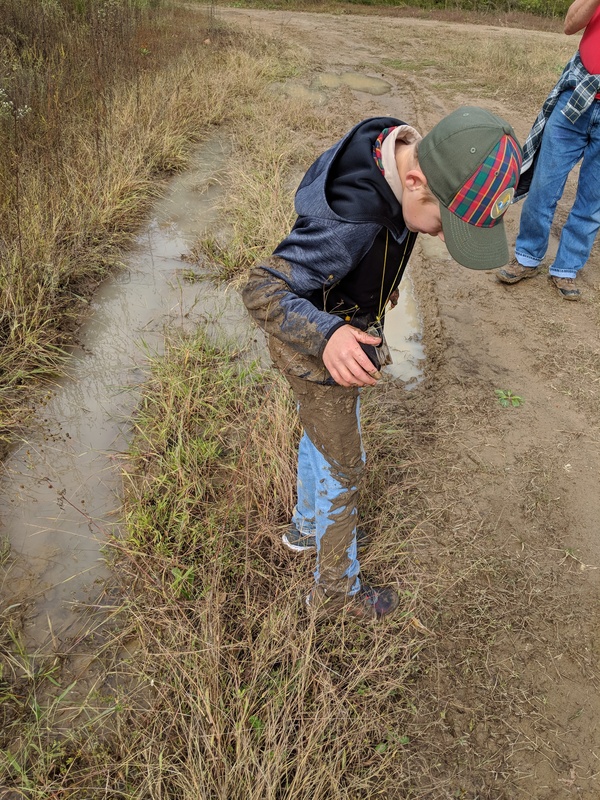 No one was really prepared for a five-mile hike in the mud. John was one of the first to fall. He recovered, but it took a while as he was mad at himself for falling. After lunch and a stop at home to change clothes and clean up a bit, John and Andy headed off to the afternoon with Troop 706. 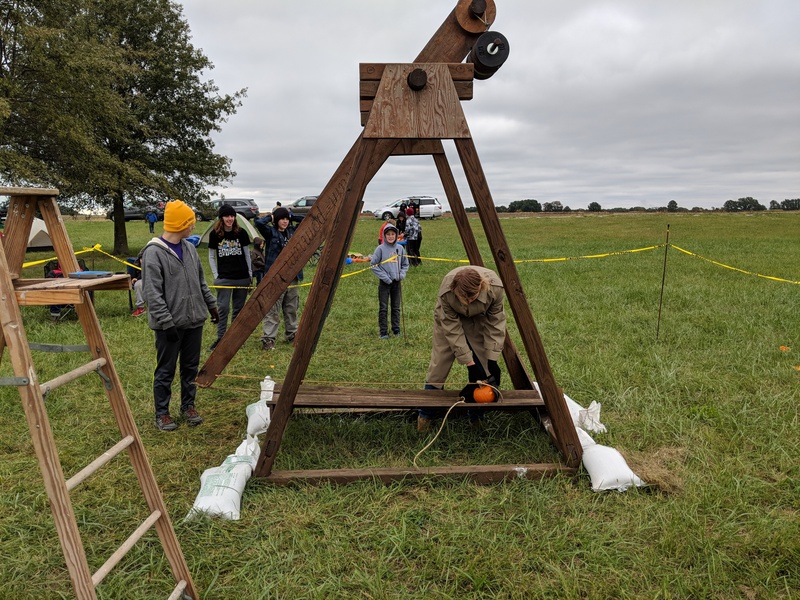 They actually had a trebuchet and the boys got to watch pumpkin chunking! John thought this was particularly cool. They spent the evening with Troop 4 eating great food. John was impressed with the dump cake. John has a big decision to make and I can only hope that today will help him start down that path!